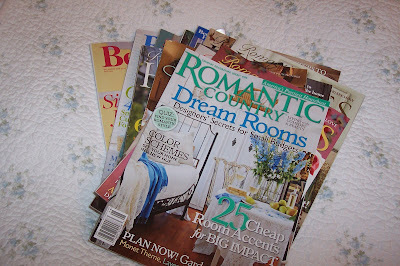 I love magazines, as I'm sure is quite apparent from the above picture! And what could be better than a new magazine to read? Maybe one that is called Romantic Living? My son let me "borrow" the ones he'd made for a quick snapshot! Smile, guys! My son even let me make one of his eight! 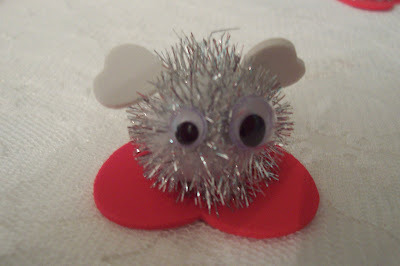 (I liked this craft as much as my kids did!) I put it in the mailbox my husband and I share for him to find! Gracie gave me one of hers, too! How sweet is that? We are getting such a kick out of this whole mailbox thing! It's going to be hard to put them away on February 15th. I have so many cute little things tucked away for my family that I can't wait to surprise them with! 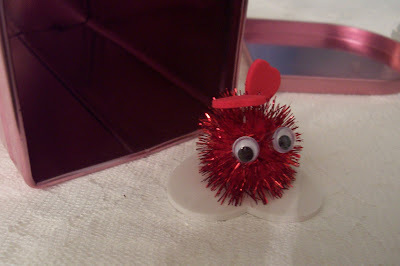 I will be showing you my other fun craft in the next day or two, hopefully tomorrow, but we'll see! We're having a big ol' work day here, with my husband and I swapping "honey-do" lists for the morning! The lists can have up to five things on them, and I have already done the first on his list. (Worked on my part of "THE BUDGET".) Oh, how I dislike THE BUDGET. I even dislike the very words. My husband told me to call it whatever I wanted to then. But it's no use. I would just hate that word, too. :) No, but seriously, as much as sometimes trying to redo and decorate a house on a budget seems like trying to fit into a sweater three sizes too small, it's taught me patience. But that's another word I don't care for! Ha! Well, I hope you have endured my blathering! Have a fantastic weekend, you all! The little crafts your kids worked on are so cute! Thank you for the links you have listed, I will be looking at them very soon. I hope you have a wonderful weekend, swapping jobs to do. I too have a magazine addiction. Not a bad one to have, except that I can say that I haven't read anything with a hardback since the 12th grade...so sad. Thanks for fueling my addiction! Have a fab weekend! 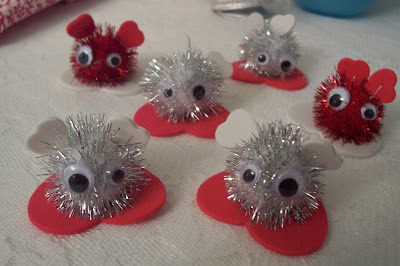 What cute little Valentine fuzzy balls...love the eyes..my girls would love these! What cute little creatures...they look like they are wearing flip flops to me, lol. I think I could make these with my little ones too. What a fun craft - my daughter would love making these. 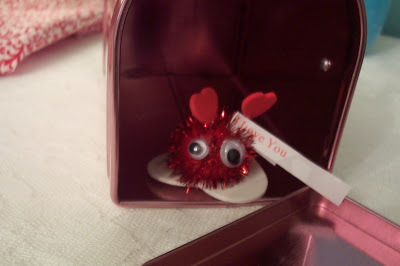 And I love the valentines mailbox. Thank for giving us the link to the new magazine. Can't wait to see it and have some new eye candy to look at! 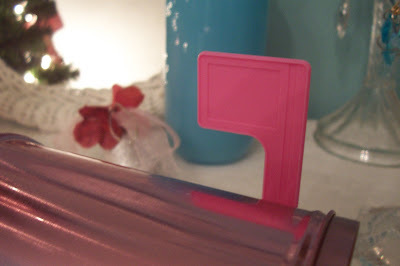 I am going to try to find some little mailboxes this week 'cause I think that is just the sweetest idea. The craft project is adorable! Those are the cutest things I love them! WAY to cute!!!! I bet your kids had so much fun too.